You could call it the art of staring at two sentences for seven hours straight… before deleting everything you wrote and starting over from scratch. Guess what, though? Writing doesn’t have to feel like pulling teeth. Writing is a skill — a process — you can learn to master over time. Today I want to show you the 3 keys to writing I’ve learned over the past 10 years. These keys help me create dozens of posts every month and write compelling content every time I open up a document and stare at a blank page. There’s a reason I don’t write about interior decorating or how to cook butternut squash soup. I don’t know how to do any of that stuff! If I tried to write about them, it would sound forced and inauthentic. When you write about things you don’t know, you sound like a politician trying to talk about sports. It’s obvious that you’re out of your comfort zone, and you sound fake. This is a critical but often overlooked element of writing. We think if we just “try harder” or keep pushing that we’ll eventually write something good. But if you’re not interested, how can you expect your readers to be? To me, this is refreshing. It means you have permission to write about what you want! You get to talk about your hobbies, interests, and even weird things like your love of hot sauce. You can do this because there’s an audience for almost anything online. 1. Steve Gadlin hand-draws pictures of cats, posts them online, and then sells them to people all over the world. His site I Want to Draw a Cat for You pretty much sums up the business. 2. Benny Lewis started Fluent in 3 Months and became a thought leader in the super-niche field of language learning. Despite not having any advanced degrees or “credentials,” he’s been featured in The New York Times, National Geographic, The Four Hour Workweek, Business Insider, and Forbes. He was also invited to give a TEDx talk on language hacking. 3. One of my students, Julian Walker, launched a site called Yoga Teacher Grad School. In the process, he turned one of the weirdest ideas I’ve ever heard — teaching yoga instructors how to create music playlists for their classes — into a successful blog and business. My favorite part about all three of these example is that these guys didn’t force themselves to write about something they thought would be popular. Instead they took what they were deeply passionate about and shared it with the world. You can do this, too. And when you’re writing about what you truly love, it makes the whole process of going from blank page to compelling post a lot easier. Wanna guess the number one problem writers face? It’s not that they don’t understand grammar. It’s not that they think they have nothing interesting to say. It’s that they sit down and expect to magically churn out the next great American novel — without doing any work up front. The truth is 80% of your writing is done before you ever sit down to write. That’s right — if you do a little prep beforehand, it can save you hours of time and make the entire writing process flow much smoother. Anytime you come across an article you love, store it away for easy reference later on. I save links to Delicious, but you can also use tools like Evernote, email, Google Docs, or even Word. Well, rather than wasting your time hunting down ideas when it’s time to write, you’ll have everything in one place for easy reference. This way you don’t have to wonder where you should start. You have a huge list of ideas you can pull from and a big list of tactics to give you a jumpstart. So if you want to write about time management, you can just search through your list of articles, read up on the subject, and take a few notes. You can even use those articles as a barebones framework for your piece. Do you think Barack Obama just shows up to give a speech, hoping it will be great? No way. He takes the time to study great orators of the past and pays attention to the nuances of engaging speeches. If you want to be a great writer, you should have this same philosophy. For example, Stephen King says, “The road to hell is paved with adverbs.” Read his books, and you’ll notice he doesn’t use many. How does he structure his sentences so he doesn’t need them as a crutch? How many adverbs could you cut from your work? Study the masters, and your writing is sure to improve. 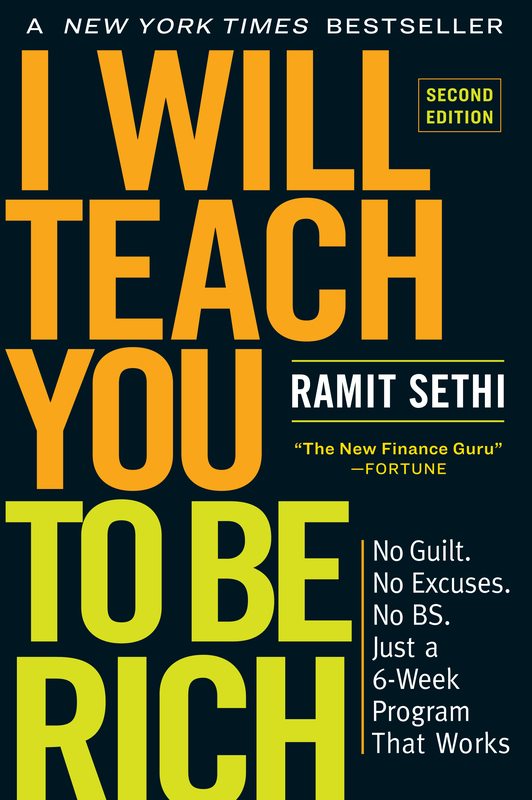 When I was writing I Will Teach You To Be Rich, it took me 8 months — yes, 8! — just to outline the book and compile the table of contents. I was constantly adding and removing chapters, rearranging the order, and rewriting section titles until I had it just right. The reason I spent so much time on the outline was because I knew that once I nailed it, the actual writing would take care of itself. I could easily look at my outline and know exactly what I should be writing about. The result: I finished my book on time and my publisher was happy. You quickly get all of your ideas out. That way you can see if they make sense. You can easily move ideas around until everything flows — in a fraction of the time. If you write the whole piece out first, you’ll waste time reorganizing and, worse, you might even have to start over from scratch. Once you outline, you no longer have a blank page in front of you. Getting started is a huge relief. Then all you have to do is fill in the gaps, and you’re ready to publish. It’s broken into 5 pieces: an introduction, my 3 key points, and a conclusion to wrap up the piece. How simple is that? Your outline can be as brief or detailed as you want. You’re not doing it for other people. You’re just giving yourself a framework to start writing. And once you have that skeleton, you can turn it into great content in a fraction of the time. Now it’s your turn. The real value in learning these writing processes is going beyond consuming material and starting to produce it. If you’re interested, we have a free video that shows you how to come up with your first article idea. You can use it to create your first viral piece of content, or to break into one of the big-name publications like Business Insider, Entrepreneur, or Huffington Post. You can watch the video instantly by entering your name and email below.